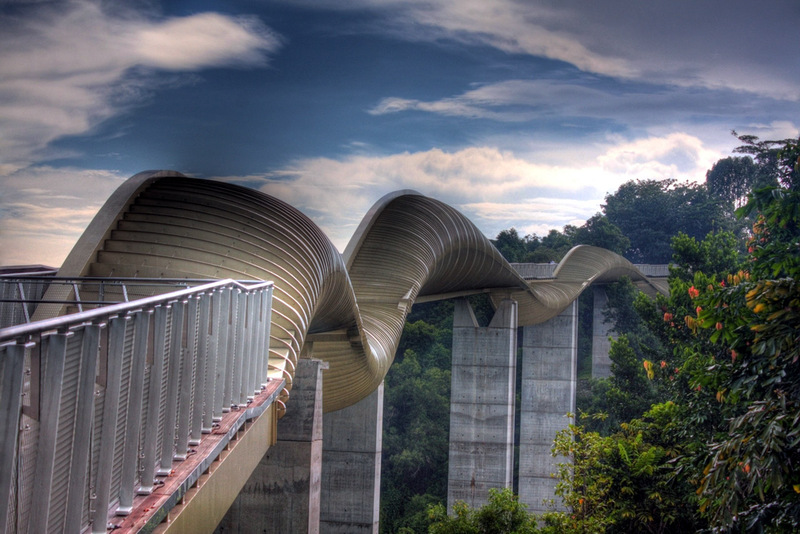 Wave-shaped 36-m pedestrian bridge connecting Mount Faber Park to Telok Blangah Hill Park. 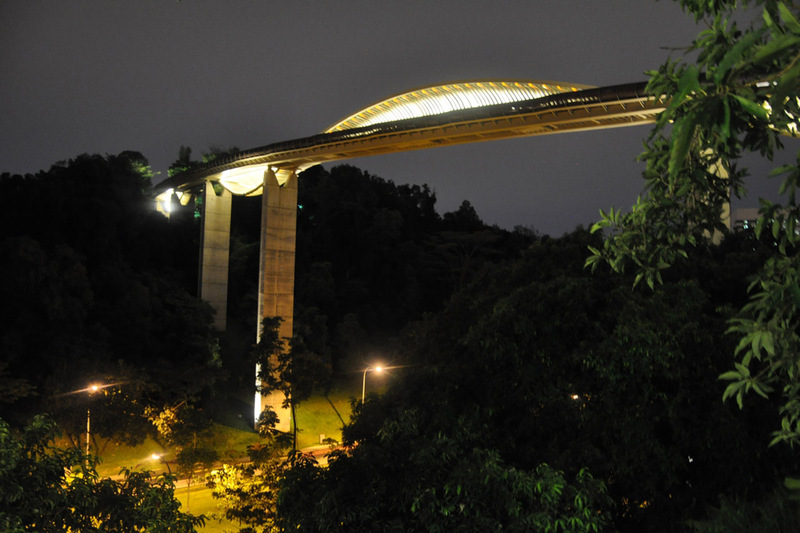 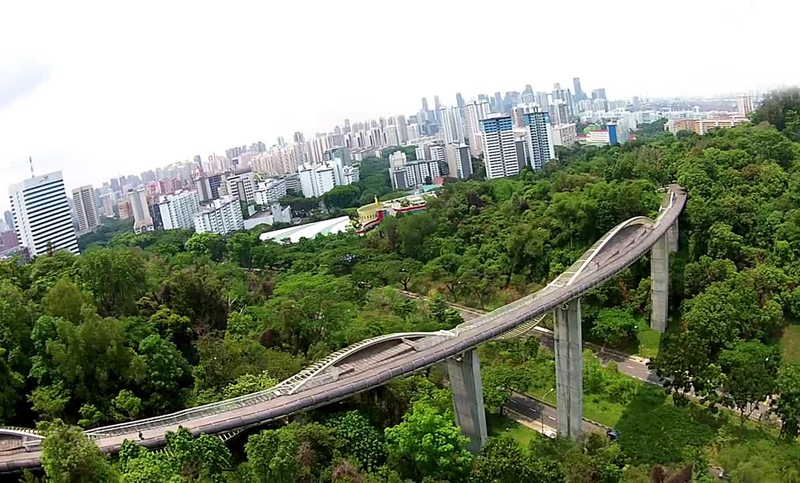 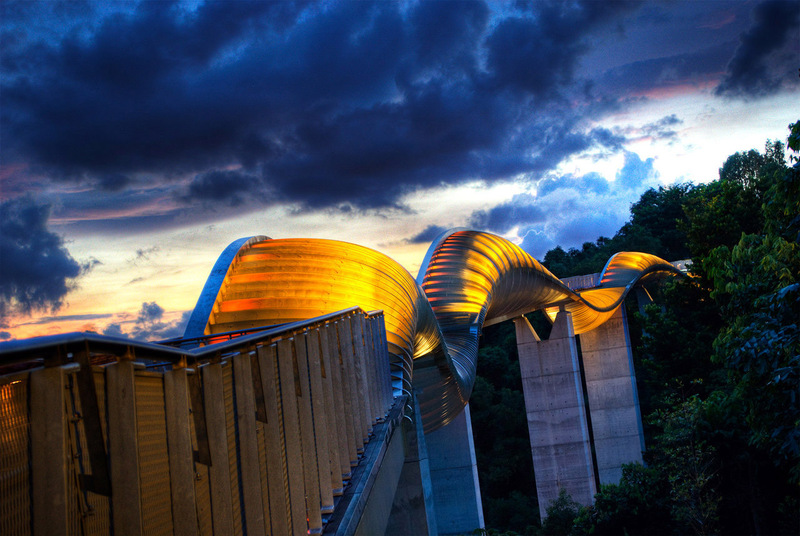 At it's highest point Henderson Waves bridge is just over 118 feet, making it Singapore's tallest bridge. 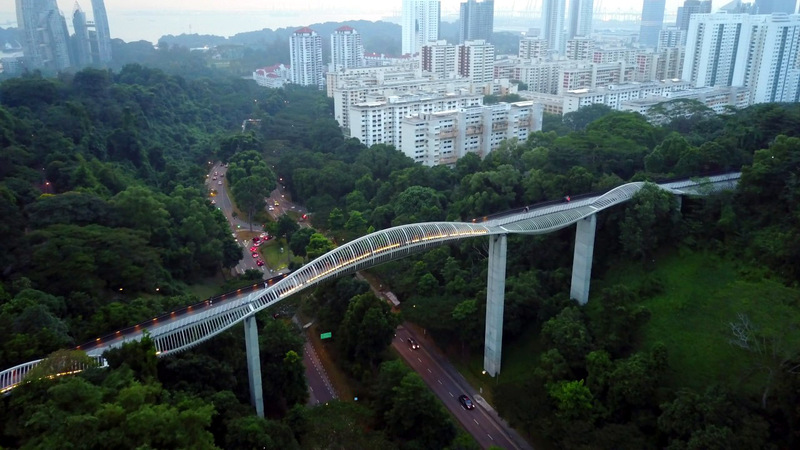 The modern pedestrian bridge is surrounded by the regions lush natural foliage. 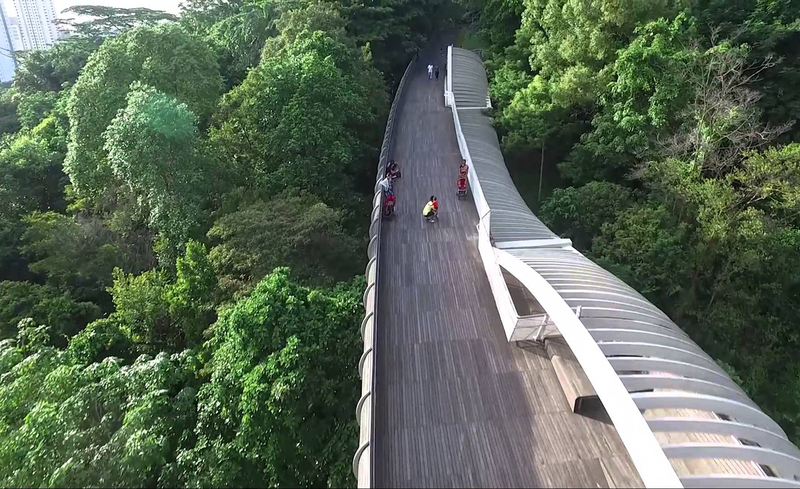 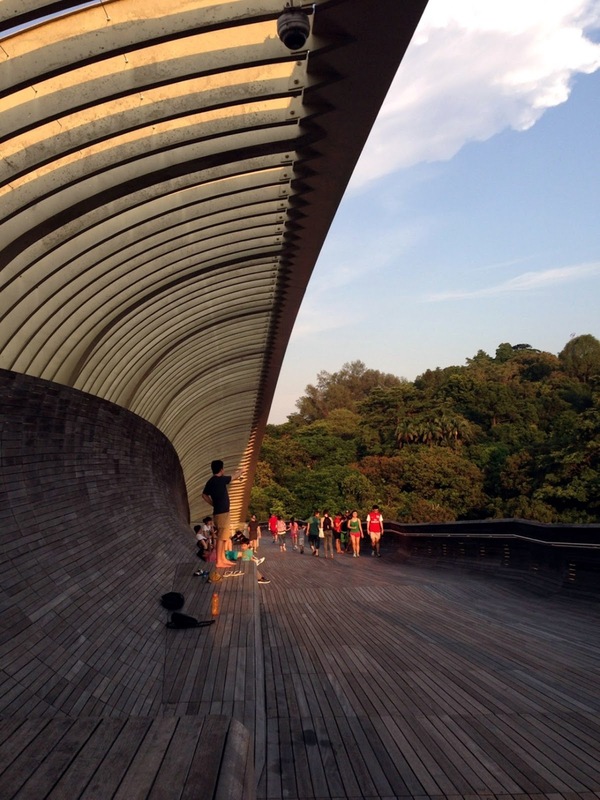 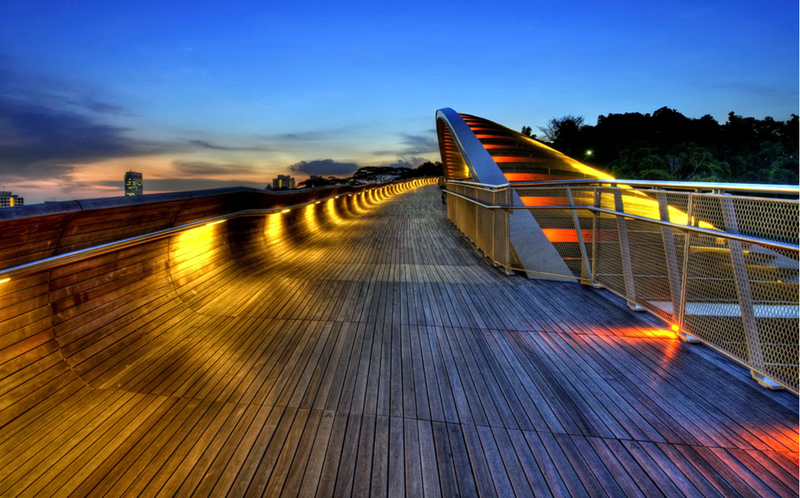 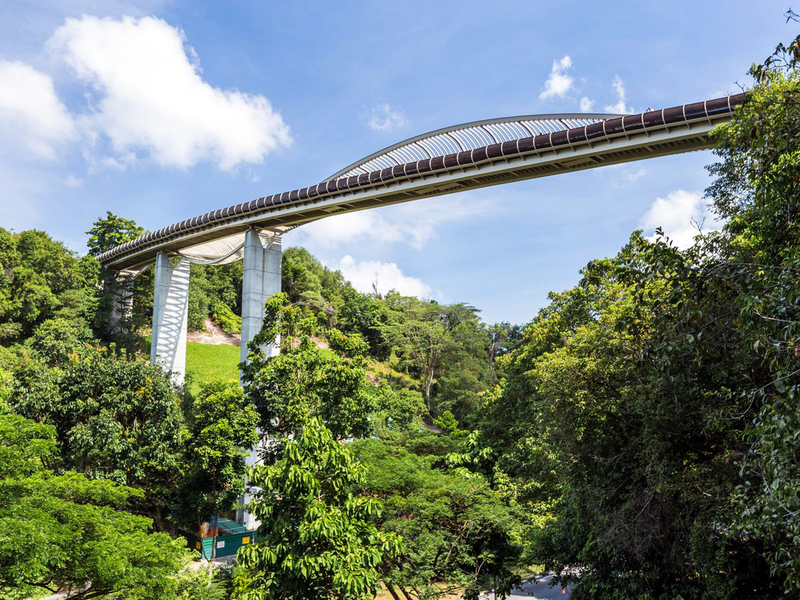 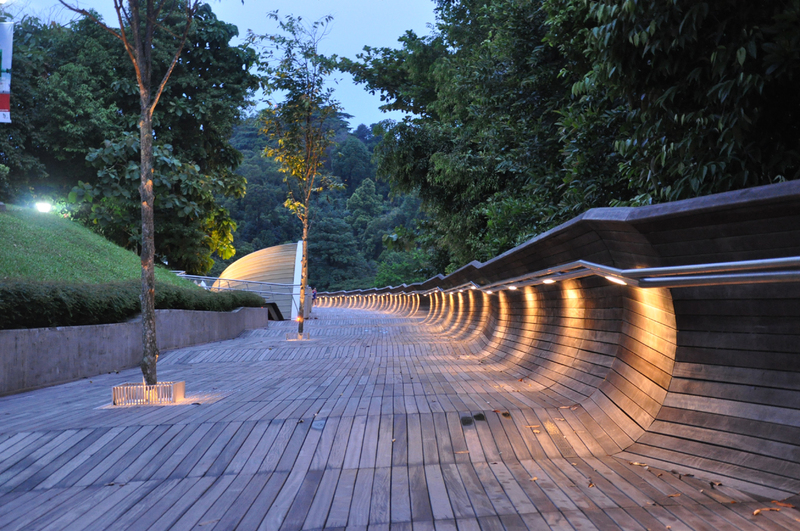 Designed by the U.S.-based firm RSP Architects, Henderson Waves bridge connects Mount Faber Park and Telok Blangah Hill Park.